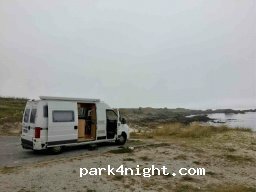 Petit parking sur la plage, très calme et vue imprenable. Utilisable jour et nuit. 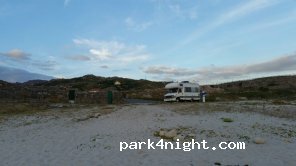 Small parking on the beach, very quiet and breathtaking views. Usable day and night. 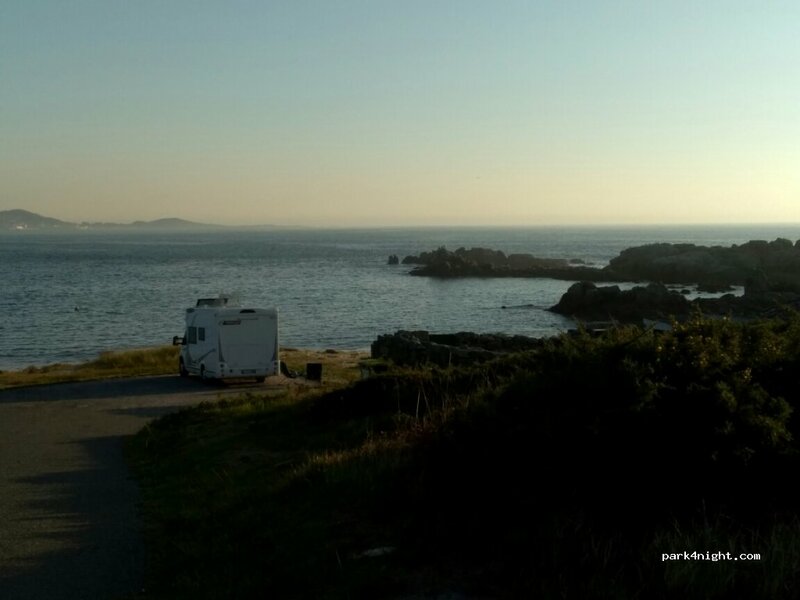 Pequeño aparcamiento en la playa, vistas muy tranquilas e impresionantes. Utilizable dia y noche. We stayed here for the night and 2 days in early April. 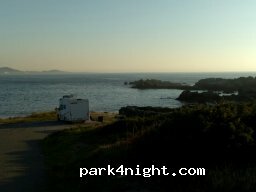 The view is amazing, very tranquil with no other campers. Fishermen came throughout the day but were friendly and said hello. There is a shower, very powerful tap and a bin. Please keep the place clean and when walking the beach pick up any plastic you see. 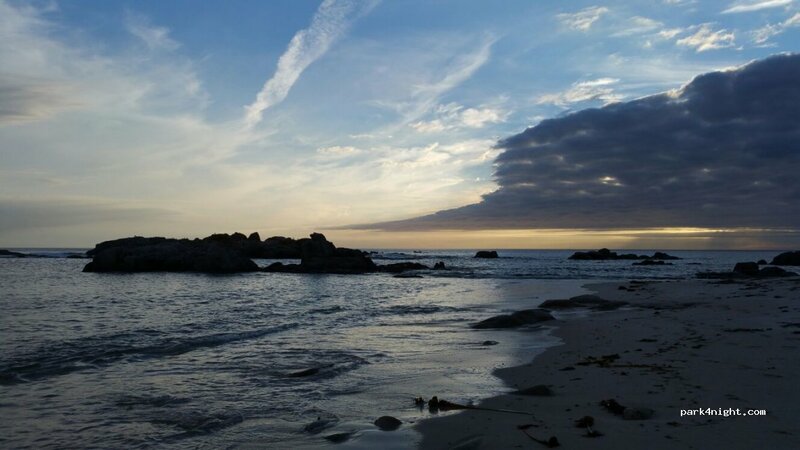 We went fishing (caught a wrasse) and were lucky enough to see an otter in the evening run along the beach. Kann mich den anderen anschließen, wirklich traumhaft!! Très bien pour 2-3 camping-cars. Douche not really working, ground not very flat, but a very nice spot with fisherman. Absolument superbe. Vue magnifique sur la plage et les rochers de granit rose. 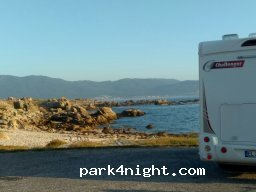 Petit parking pour 4 camping-cars maximum. Spot de rêve les pieds dans le sable et la tête dans les étoiles ! surtout pour les vans et fourgons car peu de place. Endroit paisible, douche à proximité, 5 à 6 places maximum. Petit parking devant la plage. Amazing spot. 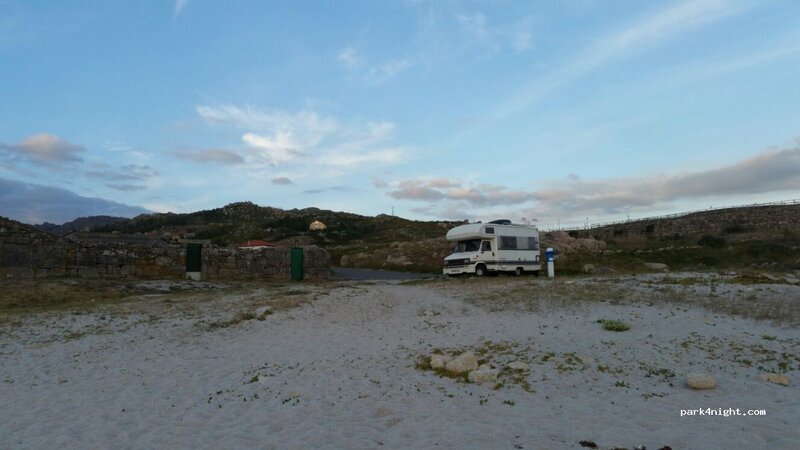 Clean water and shower facilities right next to camping spot. Is a small spot mind you. Great for shell hunting, amazing tiny shells here, and also finding mussels. Have stayed here two nights, very quiet and never bothered. Fisherman do come early to collect the mussels (arrive around 7 leave about 10.30) but are very quiet and do not disturb you. Bonito y estupendo lugar, muy tranquilo, a pié de playa con agua y ducha. Muy recomendable y solitario. El problema es que hay pocas plazas, para 4 aproximadamente. 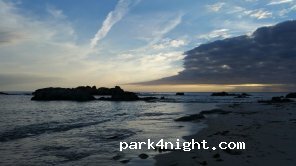 Parking, near the beach, water, dumpster and toilets. To empty gray and WC at 500 mts. Wide and quiet forest area, very close to the beach. Free services area behind the football field, just in the corner of the field. Seaside location. Lots of space. Great beach. Parking de la plage. Douches. Attention au sable au moment de tourner.